Drainage. Water collects at the bottom of shafts where a sump is left. The water could be pumped out by hand or bailed out with buckets. At Alderley, the only drainage tunnel that we have clearly identified is the Hough Level running from Engine Vein to the Edge. 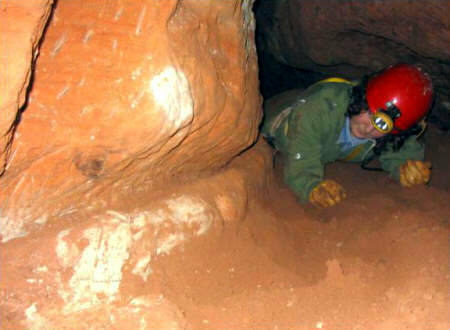 (Below) Drainage in Wood Mine. 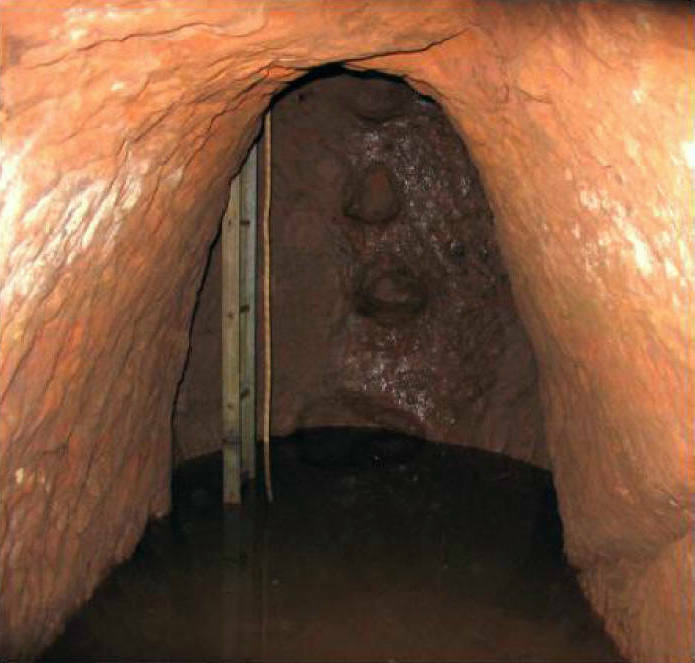 Water springs from the floor of a shallow passage in Wood Mine and is channelled down the side of the passage as this picture shows. From here, it was channelled through a wooden trough and then drained out of the Wood Mine adit. At some time, possibly in the early twentieth century, interceptor pits were built just inside the entrance to Wood Mine to stop sand and lead particles escaping from the mine. 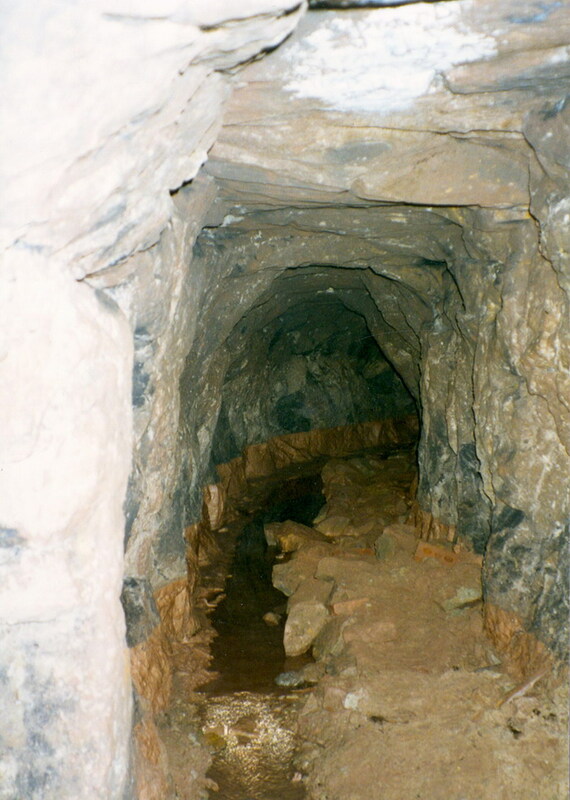 (Left) Drainage channel in Cobalt Mine. The cut out channel round the left hand wall was made to take seepage water from the fault workings in the cobalt mine to the shaft illustrated above. Similar features are found in Engine Vein, especially around Bear Pit where a 'garland' has been cut round the shaft to collect falling water and divert it down Blue Shaft and hence to the exit at Dickens Wood.